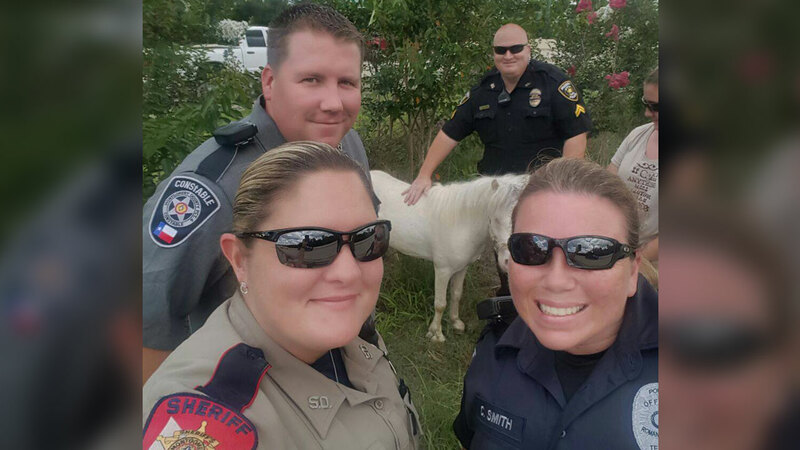 Mini pony rescued from highway in Montgomery Co.
ROMAN FOREST, TX (KTRK) -- Officials came to the aid of a mini pony found wandering near the highway in Splendora on Sunday. According to the City of Splendora Police Department, officials from several different agencies responded to rescue the lost animal, which was seen trying to enter the mainlanes of Highway 59 near Roman Forest Boulevard. Thanks to the officials' quick work, the animal was apprehended unharmed.